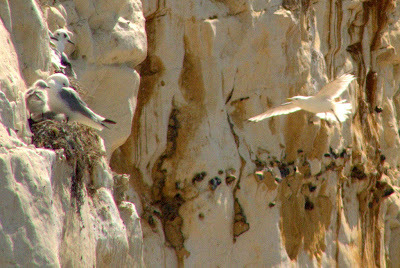 Peter Lovett's ramblings : Kittiwakes at Seaford Head today. 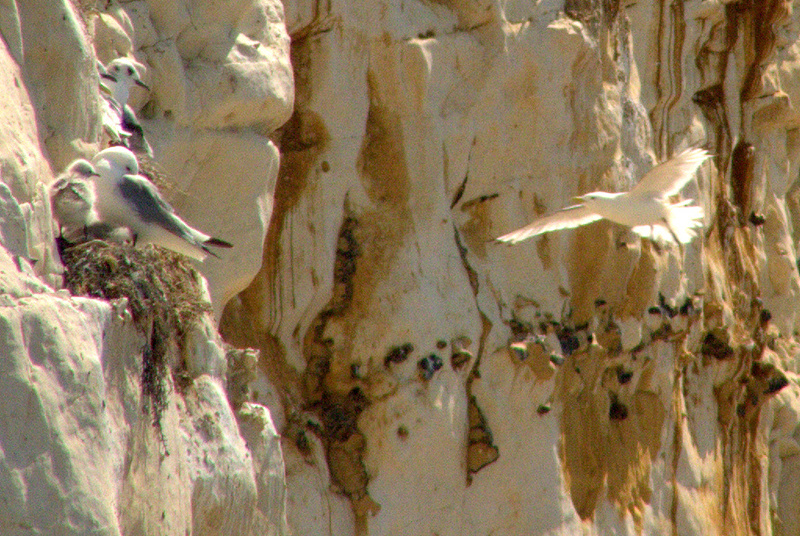 Kittiwakes at Seaford Head today. I'm hungry... where is my lunch? 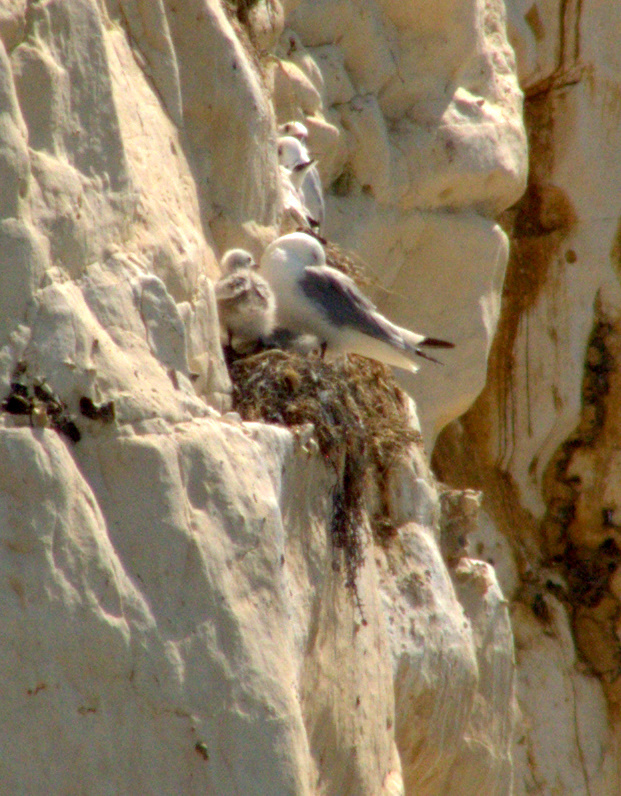 A cry from this baby Kittiwake at Seaford Head. 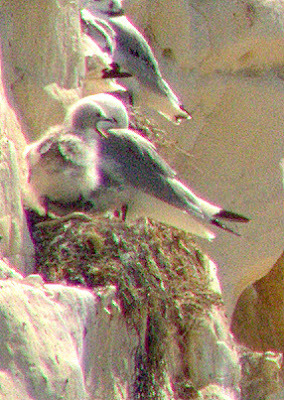 One parent looks fast asleep. Any human parent will know that feeling! Is this the other parent back from the sea, ready to regurgitate some part digested fish? This is the view from Splash Point at Seaford Head, from where the above pictures were taken. 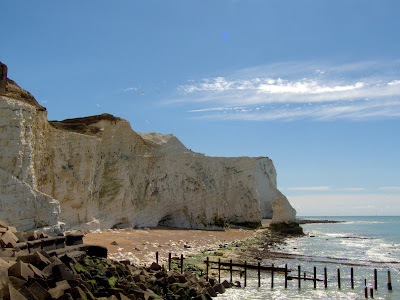 This walk, lead by me, was from the Mid Sussex Ramblers programme of walks. 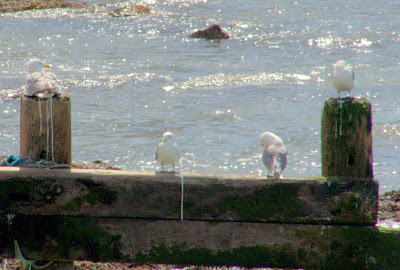 The next exciting sections of the walk will follow shortly. 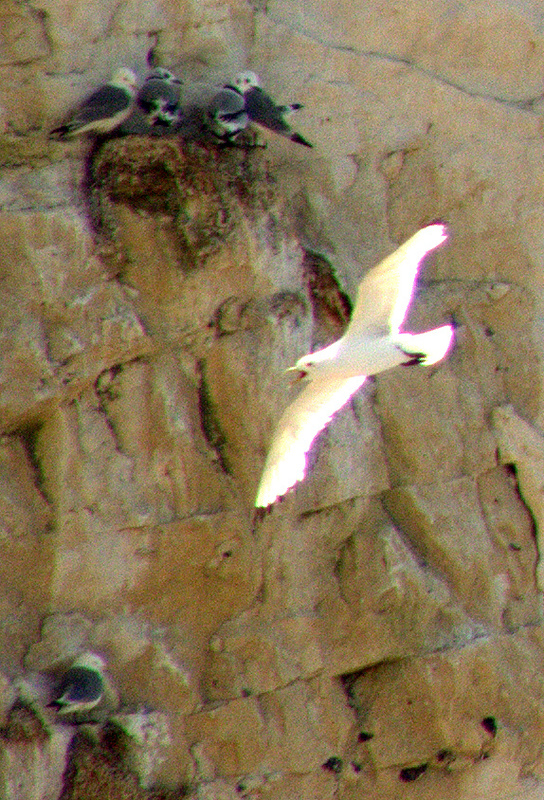 The small gull in the center of the above picture is a Kittiwake.